Suburban dad to urban hero...that's how my day went. It started at IKEA to finish some Christmas shopping. Once we were done with IKEA, I put my daughter to bed and made my way to WOTL to become a superhero. Coach Dwayne was our movement coach for the session. Coach Andy was our self-defense instructor. 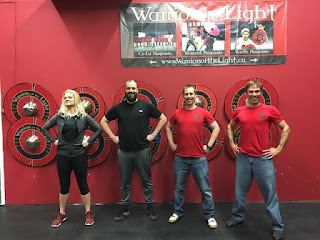 Together, they offered something very unique to the Ottawa fitness scene: an urban heroes class. 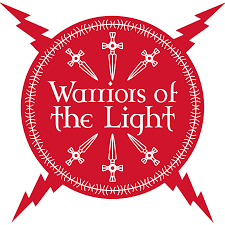 WOTL's owner, Beth Sturdevant is on a mission to ''build a community of strong, compassionate modern-day warriors, who help to strengthen and support each other as one.'' We were encourage to train in our street clothes because everything we learned could be applicable to our day to day living. Part 1 of the training was with coach Dwayne. Coach Dwayne is a certified MovNat instructor. We worked on our jumping mechanics. We did many drills that required us to think about how we jump and also, how we land. He taught us the basics on how to prepare our jumps and how to land efficiently. We then practiced what he taught us. I might not actually be a superhero but I want to be able to play and jump around with my daughter. Learning this basic human movement is really important if you want to be active for life. Part 2 of the training was with coach Andy. Andy wanted to teach us a sequence of self-defense moves (from start to finish, from basic to complex). First off, he taught us that avoiding situations was the best way to defend yourself if you were ever in a tough situation. However, if you were in a situation that is unavoidable, he taught us to to defend ourselves with open hands. I thought that was really interesting because it makes sense. Having open hands is a lot less agressive (yet, still very effective) than having your hands in closed fists. We then wrapped up the training with a neat exercise that I had never done before. Coach Dwayne and Coach Andy were very good at differentiating their teaching. Beginners to experts were able to learn and get a good workout. They had a great chemistry that made all the participants feet at ease. Good job guys! 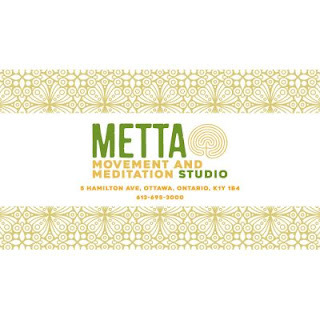 Beth, the owner, offers a unique gym/dojo that blends perfectly martial arts, weapons training, movement, empowerment and meditation. I strongly suggest you visit her establishment if you want an enjoyable and rewarding workout. Check us out in our awesome superhero pose! 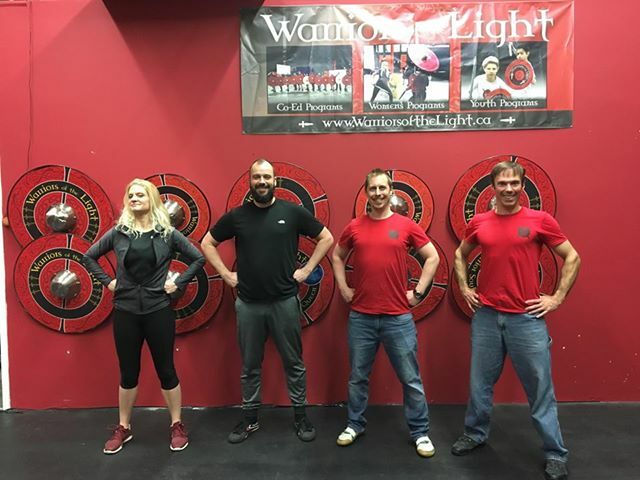 WOTL’s new “Urban Heroes” class seeks to recreate the super hero experience, using the “street-level” superhero as its archetype. 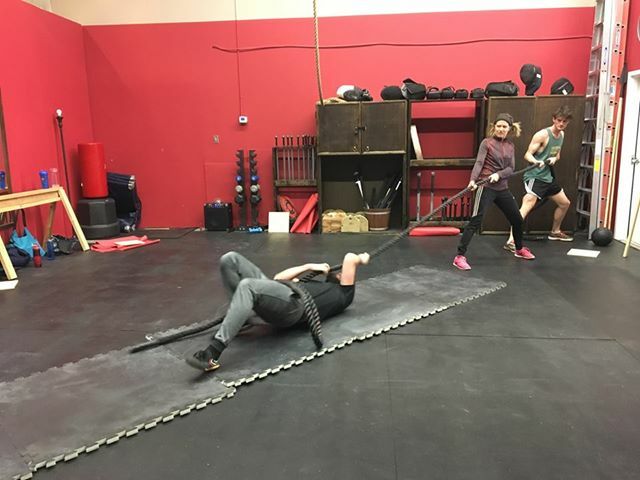 While we can’t guarantee you’ll develop superpowers, you’ll definitely see your physical potential unlock through our blend of running, parkour, martial arts, and functional strength training. 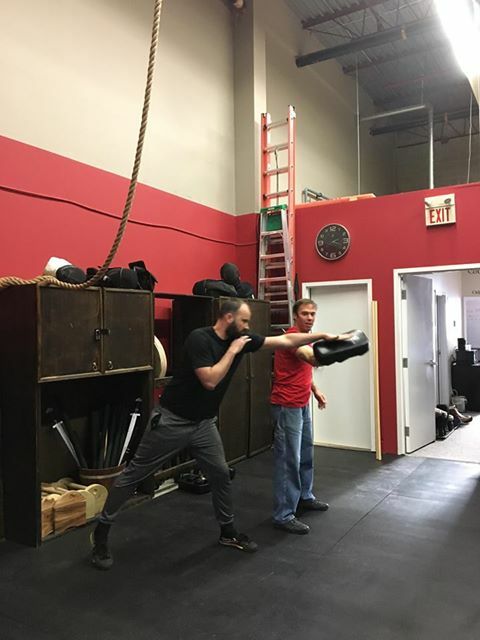 The Urban Heroes program features a mix of running coaching, movement skill development, techniques from our Modern Combatives program, and strength development through body weight, sledgehammer, and steel club exercises. You will develop your strength, stamina, dexterity, flexibility, and energy levels. You will also improve your situational awareness and develop practical self-defense tactics; which will better enable you to detect, defuse, and deal with potential or real dangerous situations, with the goal always being to escape. By encouraging you to work hard while keeping the pace light and fun, we will motivate you to tap into parts of your potential you probably never realized were there. We will offer change, variety, and scalability, to allow participants a chance to develop in areas that need strenghtening. 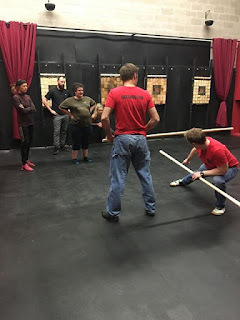 - Incorporation of the “Urban Hero arsenal” of steel clubs, sledgehammers, mace bells, and Kali sticks.